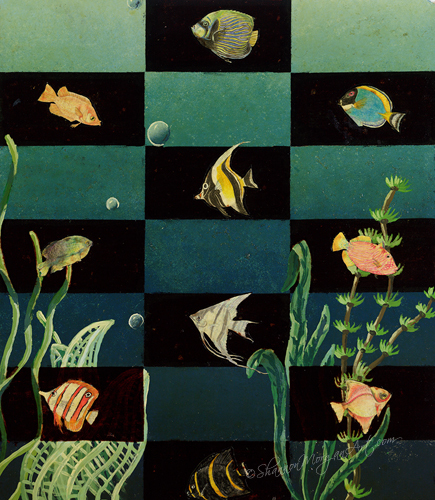 Ten fish, bubbles, green/black squares, plants. Copyright © 2019 Art by Shannon Morgan (1975-2009). All rights reserved.